Orlando’s best-kept summer secret returns with Audubon Park Garden District’s 10th Annual Bastille Day Bash on Saturday, July 14, 2018, featuring an all-new cabaret; free baguette fencing; a free makers market - the French Market at Audubon; live music; a special guest appearance by Marie Antoinette, French wines and champagnes; French beer on tap; and a ticketed event - the 7th Annual French Cheese and Wine Pairing. Kick back, grab a cocktail and enjoy the all-new Moulin Rouge Show at Stardust Video and Coffee, with stars Blue Star, Foxy Roxy and Bella Marie. Ohlala! Let them eat cheese at Orlando’s foodie hub East End Market — later, have your picture taken with Marie Antoinette and a full size guillotine. C’est dangereuse! Watch the crumbs fly as you release your inner enfant terrible with baguette fencing at Olde Hearth Bread Company. Wander through a Montmartre of the mind at the French Market at Audubon, a pop up makers market inside Stardust Video and Coffee. 4 - 6 p.m. — 7th Annual French Cheese and Wine Pairing by La Femme du Fromage (Advance tickets just $35 General Admission, $30 for APGD Members). Includes five cheeses, paired with five wines, along with a sweet light bite. Second floor of East End Market, 3201 Corrine Drive, Orlando 32803. Tickets on sale shortly. 5 to 8 p.m. — French Market at Audubon. Don't miss the stylish and chic offerings put on by some of the area's best makers in this pop up market at Stardust Video and Coffee. Free. 9:00 p.m. - Ohlala, enjoy the Moulin Rouge cabaret inside Stardust Video and Coffee with Star Blue, Foxy Roxy and Bella Marie. No cover. Plus - French beer on tap, along with champagne and bubbles, all night at Redlight Redlight, where Marie Antoinette will be holding court, time TBA. For up to the minute information, visit Facebook.com/hello.APGD. 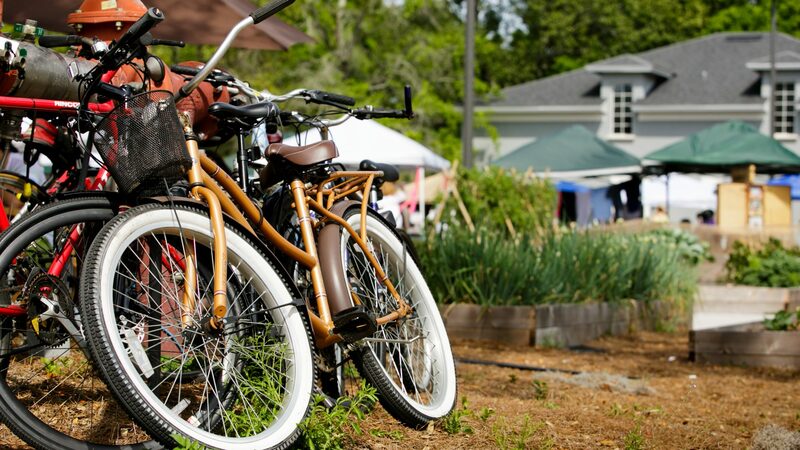 Established in 2008, the Audubon Park Garden District is an Orlando Main Street program accredited with the National Main Street Program, a subsidiary of the National Trust for Historic Preservation. APGD's mission is to create an economically, environmentally and socially sustainable community along the Corrine Drive corridor in Orlando, Florida.